Philadelphia renters don't have it easy—at all. In fact, they face a market with more unfavorable conditions than the vast majority of American cities, according to a new WalletHub report that ranks the best and worst places to rent in the United States in 2016. On a list of 150 cities arranged using a weighted average of ten different metrics, Philadelphia lands at a desultory 146, making it the fifth worst place to rent in the entire country. Can that be? Over the past year, other analyses have deemed Philadelphia the perfect city for millennials and an undervalued market given its overall "livability." On the other hand, demand for apartments here is steadily rising, according to Yardi Matrix, and although year-over-year rent growth was 3.1 percent compared to a national average of 6 percent, the Harvard Research Center noted that Philadelphia is among the cities where moderate rents still don't make up for relatively lower incomes. One point to note about the overall ranking is the effect of historical rental price changes relative to changes in household income. Last month, Curbed Philly graphed the divergence between median rent and median household income since 1960. It's not pretty: Rent rose 64 percent from 1960-2014 compared to just a 19 percent increase in household income during the same stretch. 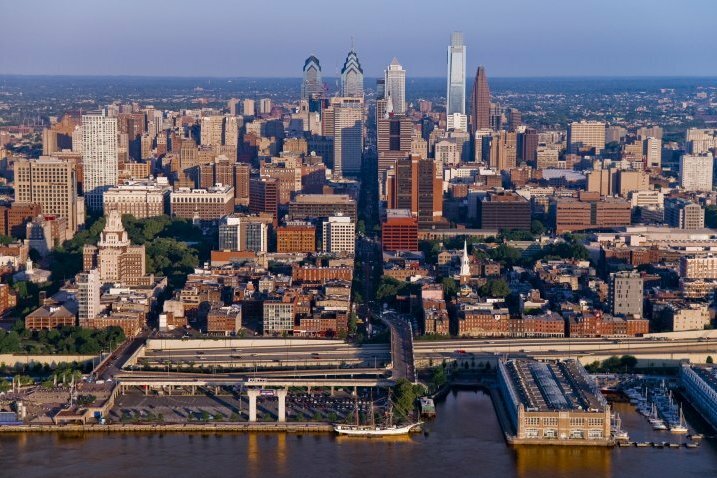 The consequences of this long-term trend are a large part of what the Pew Charitable Trusts worked to define in its recent report on the many facets of gentrification in Philadelphia. Using an income-based approach, the authors determined that just 15 percent of the city's 372 residential census tracts experienced gentrification from 2000-2014. If their analysis were to go back much further in parts of South Philadelphia, West Philadelphia and the River Wards, that number would likely be higher, although community change over periods that long wouldn't necessarily be an unusual aspect of urban development by any name. Despite certain outliers like Temple, Pew’s survey of household income growth did positively identify areas of the city that not only experienced what many agree to be gentrification, but it also identified areas that have experienced rapid disinvestment and wage loss since 2000. Looking on the bright side, there are at least several dozen new apartment and condo projects being built all over the city, which could ease some of the pressure on renters to find affordable housing in a city with an average median income of around $37,460. Philadelphia was also recently awarded $9.3 million in state tax credits to support the development of 8 new affordable housing developments at sites scattered throughout the city. What may be more concerning is the prevalence of new luxury apartments and condos, many of them in Center City, that add to the city's housing stock without meeting the demand for more affordably priced units. As The Atlantic discussed last fall, however, this is a post-housing crisis challenge facing American cities from coast to coast.